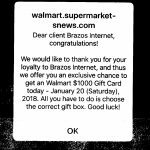 It has come to our attention that a $1000 Walmart Gift Card scam is circulating through social media congratulating Brazos Internet customers for their loyalty. This is a scam, and we recommend that you close out of it immediately. This particular type of adware also known as advertising malware, tries to get unsuspecting users to play obscure online games in order to “win” the prize. 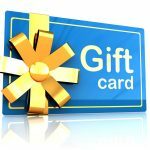 This type of intrusive program can be very dangerous, causing networks to slow down, or worse; installing malicious software on your computer. If you are seeing a lot of ads and/or pop-ups on your computer screen, it could be a red flag that it is time for a system checkup. The highly skilled staff at Brazos can help you address and fix problems you may have with your computer. 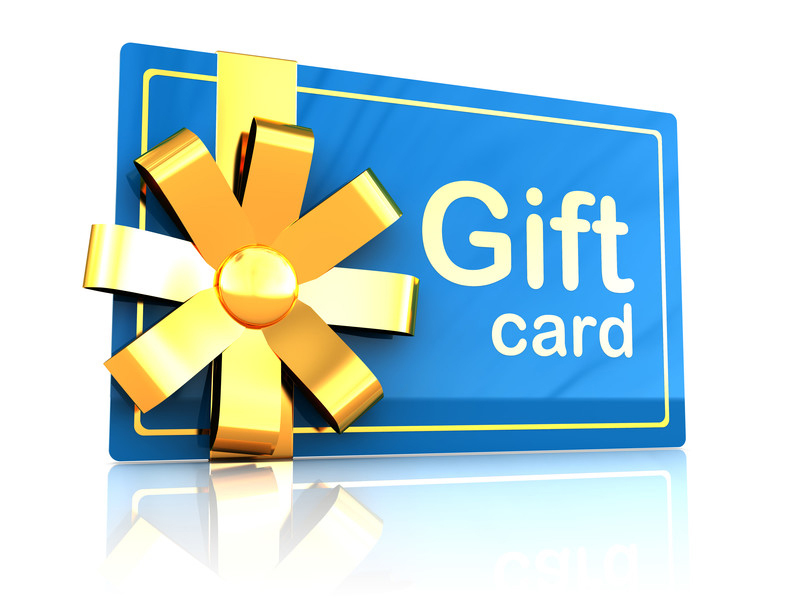 If you have any questions or concerns about the Walmart Gift Card scam or other scams please give us a call at 1.800.687.3222. 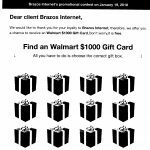 To learn more about Brazos Communications visit us online at www.brazosnet.com.